It’s no secret that I am southern and therefore have a deep love of soul food. So it should be no surprise that it only took me one week to figure out how to incorporate BBQ into a taco recipe. When I first made these the hubs looked at me warily but after the first bite he was hooked. Trust me ya’ll, these are amazing. 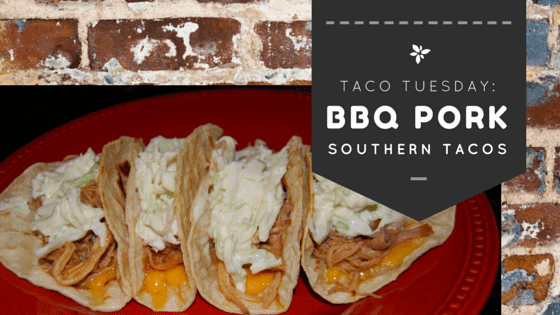 An amazing southern twist to make your tacos POP!! Place the pork tenderloin in your slow cooker and pour the whole bottle of bbq sauce over it. Mix shredded cabbage with desired amount of slaw dressing. Put in fridge to chill. 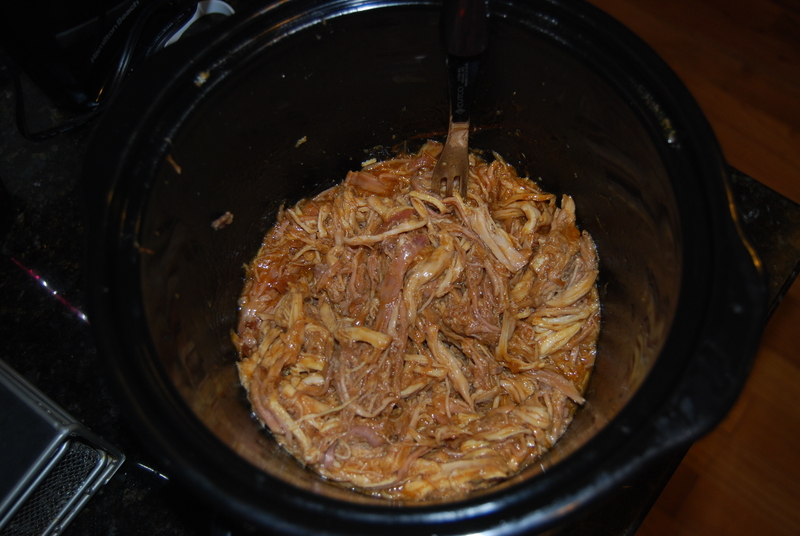 When pork is done cooking shred the meat (without removing it from the crock pot). Stir with the remaining sauce in the crockpot. Fold tortillas into a taco shape. Fill with pulled pork and top with cole slaw. I love my crockpot. The best thing about the crockpot is that it cuts down on my active cooking time (which is important with 3 little ones running around). Start out by throwing your pork tenderloin in the slow cooker and dump the whole bottle of BBQ sauce over it. Cook it on high for 3-4 hours. I also like to go ahead and make my slaw so it can be chilling in the fridge. Slaw is a very personal thing and it’s important to make it to your liking. I used 1 bag of shredded cabbage and about 8 oz of dressing but feel free to do it differently if you’d like. After it’s done cooking go ahead and shred the meat, stirring to coat. When you’re done it should look like this. 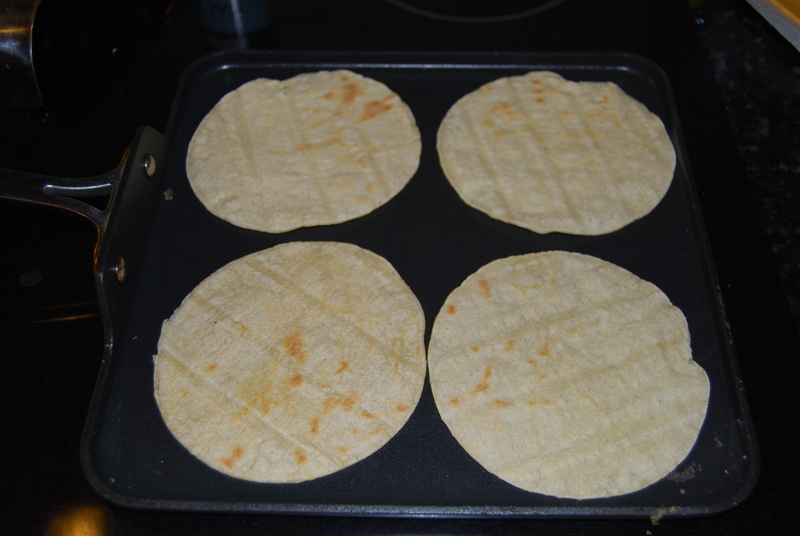 When you’re ready to eat go ahead and start heating the tortillas. 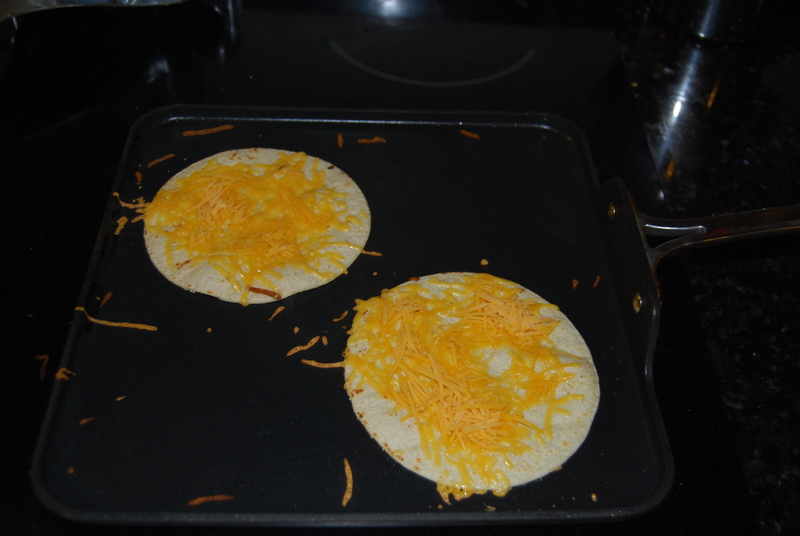 I like to go ahead and melt my cheese inside the tortillas as well. All you have to do now is fold the tortillas into taco shapes and fill ’em up!! Don’t forget to top ’em off with your slaw and make sure you have extra paper towels on hand because these can get messy! yumm, I will be trying this. Yum! That looks delicious! 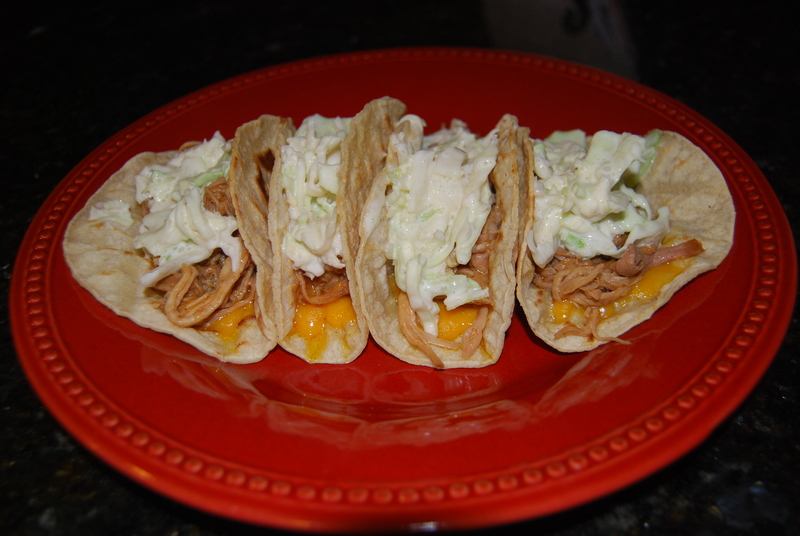 Not sure if you had me at “tacos” or “Pork BBQ” but either way I’ll have to give these a shot! I’m telling you these are awesome!! That actually looks good! And whatever you can get the children and David to eat…well, it’s a winner!